In this brief post I wish to draw your attention to a Conference on the theology of Andrew Fuller, and particularly his controversies. This is to be held on 27-8 September at Southern Seminary. I have been asked to give a lecture on Fuller and hyper-Calvinism. Can God be both outside time and in time? 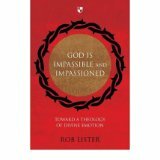 This question arises from the reading of a new book by Rob Lister, God is Impassible and Impassioned: Towards a Theology of Divine Emotion (Crossway/Apollos). The book is well-informed regarding the historical positions on God’s possibility and impassibility, and is well written. 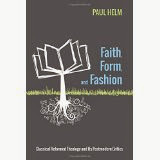 Anyone interested in systematic theology should read it. In it Dr Lister argues, as a preface to his account of 'divine emotion', that with the coming of creation, and the passing of time that the creation entails, God is immanent within what he has created, upholding it and interacting within it. He holds that the best way to understand this is to think of God as not only timelessly eternal ‘before’ the creation, but also coming to be in time at the creation. That is, he is both eternal apart from and transcendent of the creation, and temporal within the creation immanent within it. Lister then applies this ‘model’ to God’s impassibility and passionedness, though considering this application falls outside the scope of the present post. Lister concurs with such a duality as he finds in theologians such as Bruce Ware (his doctoral supervisor), Millard Erickson (226-7, 229, 231), and John Frame (227 fn) As I understand this appeal to theistic ‘duality’ as the author calls it, he is proposing that we understand God as existing in two modes, in order to do justice to a central aspect of Christian theism, that God both transcends the creation and is immanent within it. There is a timelessly eternal mode, according to which God exists prior to the creation, and an immanent mode, according to which God is in time and so is temporally present in it. As far as God’s ‘emotional life’ is concerned, in eternity (in se as Lister puts it) God is impassible, while in time (in re) God is impassioned. However, sometimes in reading the book it is not clear whether Lister claims that in creating the universe God ceases to be eternal, becoming temporal, (in the manner of William Lane Craig), or whether God remains eternal and upon creation takes on temporal relations which he does not possess when considered in himself. Maybe the second view is the view that he should take, given the emphasis on ‘duality’ in God. The difference is between a 'sequential' duality, God ceasing to be eternal upon creating a universe, and a ‘simultaneous’ duality, God remaining eternal when he creates, and the second mode of the duality comes about. I think that the quotation above, and the emphasis on God’s remaining eternal upon his creating a universe, most accurately represents Lister’s overall position. Here, unmistakably, it is to the one eternal God that the creation and ordering of the creation, in all its aspects, is ascribed. No suggestion of a 'duality'. So - it appears - Lister holds that God is atemporal, and at the creation is able to be in time., or is inevitably in time. As we can see, the classical position cuts the cake differently. The eternal God is able to create, sustain and govern, all creatures and their actions. He does so by his will, and communicates grace and glory through his activities as a communicative agent, through his communicable character or attributes. (Which attributes count as communicable and which not partly depends on what stage in the history of creation and redemption one is referring to). In carrying out his external actions God remains as he is eternally, distinct from the creation which depends upon him. If we should argue (as William Craig) that God is eternal ‘before’ the creation, and temporal afterwards, then he ceases to be eternal upon creation and becomes temporal, ihis carries its own difficulties. For it then turns out that the eternal God is not infinite, eternal and unchangeable, but, finite, capable of ceasing to be eternal, and so changeable. The difficulties for Lister’s position as a 'modified classical theist' are serious. For example, if God is eternal then he has no memory; everything that exists in time is eternally before his mind. But God-in-time has a memory, for being in time he must have a past and thus his access to the past must be memorial. So God, the one God, both does not have a memory and has a memory. depending on which mode of the duality one is referring to. Is that not serious? It might be replied that it is God-in-eternity that has no memory, God-in-time has a memory. The eternal God does not change, but God-in-time changes, as time passes. He now establishes a covenant, now leads Israel out of Egypt, now punishes them for the idolatrous worship of the Golden Calf, now delivers them from their enemies, and so on. But God-in-time and the eternal God and not two Gods, but the one God, who, it is proposed by this modification io the classical position, has two ‘faces’, one eternal and the other temporal. But possessing these two faces makes God incoherent; it imperils the integrity of the divine unity. I believe that the way back out of this tangle lies in recognizing two facts: the first is (as Augustine put it many years ago, ‘God can will a change without changing a will’), and the second is the reaffirmation that God and human persons, his creatures, are not and cannot be not equal dialogue partners. A word about each. One of the reasons Lister has for going down the duality route is that he believes that the classical doctrine’s view of divine accommodation commits God to make-believe, to representing himself as if he changes while being eternally changeless. (230) But this objection rests on a misunderstanding. We need to bear in mind that his conversations recorded for us in Scripture are invariably pedagogic. God is not like a modern counsellor or therapist, non-judgmental. Nor does he chat with his people to pass the time of day. He communicates with them in order to bring about changes in them; for example to increase their faith, he now tests them, now reaffirms his promises to them. To test them it is necessary sometimes that God threatens by making a certain prediction, as he does with Moses in the wilderness, and with Hezekiah, for example. In order that his words to them are indeed threats, he proposes to them that he will, for example, disinherit his people, and then, Moses having responded to such a threat to him in faith, pleading God's promises on behalf of his people, God relents. But there is no need in order to understand the sequence of threatening and then relenting, to propose that such changes not amount to a change in God. Rather it is his eternal will to test the faith of Moses by eternally willing this temporal sequence. Knowing the end from the beginning, God does not change, though Moses does. He grows in faith. The dialogue is for a purpose, and the dialogue partners are not equals, (as Lister recognizes; he is good on the Creator-creature distinction), as two people chatting together may be thought of as equals. In such ways as this God accommodates himself to his creation. That is, he comes down in grace and judgment, according to his purpose. This ‘coming down’ is not a case of God re-locating (downsizing! ), nor is it a case of acting as-if. It is not make-believe. God really talks to his people; he acts as their gracious friend and disciplinarian. It is simply that God does not change in doing so. But in order for God to achieve his goals he has typically to communicate with his people bit-by-bit. In a system of testing by examination, the learning takes place, then the taking of the examination, and then the result of the examination. It could not be any other way. The process is spaced out in time, first one stage and then the other stage. If the eternal God is the one setting the test, the spacings-out have still to be observed. The creature changes, but not the Creator. The moral of this interesting proposal of Lister’s is that he has not sufficiently attended to some of the aspects (or resources) of classical theism, notably that God’s attributes are possessed by him eternally and essentially, and so are not capable of being modified as part of the proposed ‘duality’. 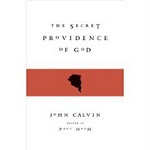 And that the classical way is to relate God’s sovereign and eternal relation to what is distinct from him, in time that is, by distinguishing (as Calvin did, along with many others) between God in se and God quoad nos. Such an understanding of God’s one eternal will provides the resources for some understanding of the relation between the eternal God and the changes that occur in his creation, though much remains mysterious, of course. Next time I hope to say more about Dr Lister's contribution, focussing particularly on 'divine emotion'.